Stock Number: S1024C, Price: $ 75.00. $10.00, FRN, STAR NOTE, Series of 1934C, Fr. # 2008-C*, Serial Number C02138061*. VERY FINE. 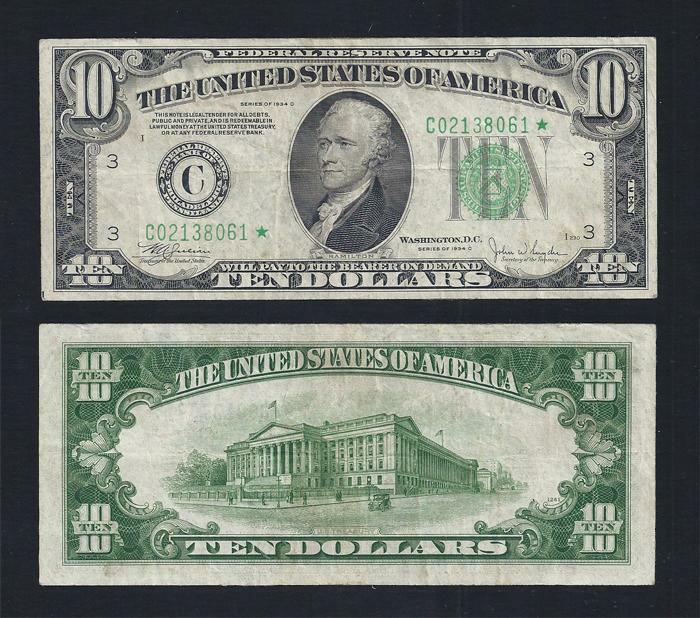 Vertical folds and one horizontal fold can be found on Philadelphia STAR note. Even margins and good centering on this note which was printed in the late 1940's.